Lee Evans (LeRoi Evans) is a Gold Album/award winning Producer/Songwriter/Engineer/Musician, and a long time veteran of the music industry. With over 30 years background in the music industry, starting as a child, Lee Evans wrote, arranged, played piano and sang for young harmony group “The Fourth Edition” a group that went on to win amateur night at the Apollo a whopping 6 times, sharing the stage with the likes of Michael Jackson, James Brown, and other legends. After attending such notable schools as “The High School Of Music & Art (NYC)” and “Oberlin Conservatory” (Ohio), Lee Evans set out on his musical life journey. As a keyboardist, Lee became a band member and musical director. In his early years he performed with and frequently led top recording with acts such as “The Jimmy Castor Bunch” “Brass Construction” The Force MDs, “New Edition” “Afrikaa Bambaataa”, “Willie Colon” “Johnny Gill” “Kleer” “Bionic Boogie” “Joe Simon” “The Coasters”. On the local scene he did a stint as the house band keyboard player. Here he backed up such notable artists like Johnny Kemp, Me’lissa Morgan, and Keith Sweat. Lee Evans is a natural born musician. He brings passion, authenticity and timelessness to his musical creations. 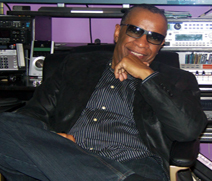 As a songwriter/producer and recording engineer , Lee Evans many accomplishments include his work with singer “Marc Anthony” in the early stages if his career, “Cindi Lauper” , “Harry Belafonte”, “The Force MDs”, “Brass Construction”, “Afrikaa Bambaataa” and a long list of dance Hip Hop and “latin freestyle” favorites from the ‘80’s and early 90’s. During this time, Mr. Evans became a familiar face in the most prominent NYC studios and earned recognition as a one of NYC’s top multi-keyboardist / producer /songwriter / engineers. After over a decade on the road playing in the “Madison Square Gardens” and hottest clubs of virtually every major city nationwide, Lee embarked on several world tours, earning international recognition for his musical abilities. But sadly, the road was really starting to take its toll on him and his family, by not allowing him to spend the much-needed quality “family time” and eventually splitting them apart. Lee Evans then decided not to go on any more lengthy tours. He stood by his word by turning down an opportunity to tour internationally as the opening act for Madonna’s “La Isla Bonita” World tour. Lee Evans started a small Fostex 4 track recording studio in his tiny basement apartment in the Bronx. “It was always tight and hot as heck down there. Guys would say it felt (and smelled) like a sweatbox but man…we used to Jam!”. Thus the name JAMBOX was born. 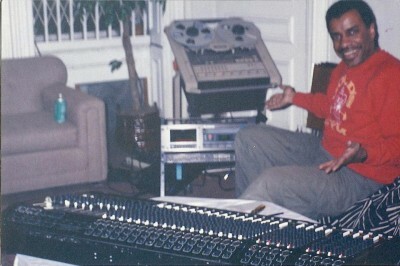 Some of the pioneers of today’s music that came up to record at his studio include, latin artists Marc Anthony & Willie Colon, Afrikaa Bambaataa Jazzy Jay,, Queen Latifah, Doug E. Fresh Lori Michaels, Sa-fire, The Cover Girls, TKA, Amoretto, Cyre, The Cold Crush Brothers, The Force MDs, Brass Construction, Rainy Davis, Glen Jones, DJ Jose “Animal” Diaz, and many more In 1989, JAMBOX relocated to midtown Manhattan. JAMBOX has expanded to a 3 room recording facility offering new and unique music services. Lee Evans and Cathy Palmisano co-own JAMBOX Entertainment and Recording Studios. JAMBOX Studios has become a major player in the current NYC music scene In 1996, Lee Evans started the “AET Audio Engineering Course”. AET is a low cost audio engineering course designed to teach the “tools of the trade” to up and coming artists producers etc. The AET Audio Engineering Course utilizes a low cost, effective and personal down to earth approach to audio education. Lee himself teaches a large portion of the course. 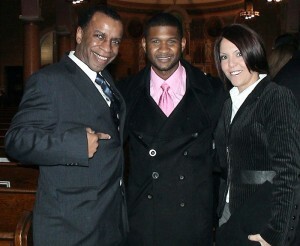 Mr. Evans is also a co-founder and the music director of non profit organization, Reach Out Inc. (www.reachoutinc.com). Reach Out Inc. educates and promotes awareness about the perils of illegal drugs, alcohol abuse, tobacco, crime, violence, prejudice, and life threatening diseases such as AIDS. Reach Out Inc. accomplish this through the use of very unique, interactive, high-energy, fun-filled presentations that intertwine music, dance, and motivational speaking. As of late, Lee Evans has been involved heavily in various projects. He recently started “The Gift Of Song”, an exclusive service at JAMBOX. He also cofounded 4Sight Music Productions, a boutique music entertainment and production company, along with Cathy Palmisano, and music producer, “G-Man” Gaetano Lattanzi. Their 1st big artist out of the door was the Times Square NYC icon “The Naked Cowboy” Over the years, Lee Evans had also developed an affinity for song mastering. Developing his skills for over 15 years as a mixing / mastering engineering, Lee started CDMasteringNYC.com in 2007. In 2009 Lee started a short run CD/DVD Duplication called CDCopiesNyc.com, specializing in high quality “short run” CD and DVD copies. To date, Lee Evans remains the CEO, leader, and visionary for JAMBOX Entertainment And Recording Studios, and their different music services.